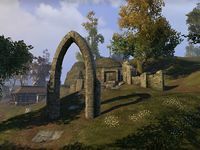 Vindasel is a small Ayleid ruin in the Great Forest of Cyrodiil. However, it was once a settlement infamous for brutalizing slaves; legend speaks of "the wailing wheels of Vindasel", where the Ayleids derived strange pleasure by subjecting them to this "art-torture". 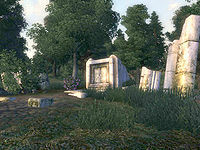 In 3E 433, Clavicus Vile sent the Champion of Cyrodiil to the ruin to collect the legendary sword Umbra. This page was last modified on 21 October 2018, at 08:04.